The Picket House Furnishings Sullivan Dining Table combines rustic charm with modern accents. 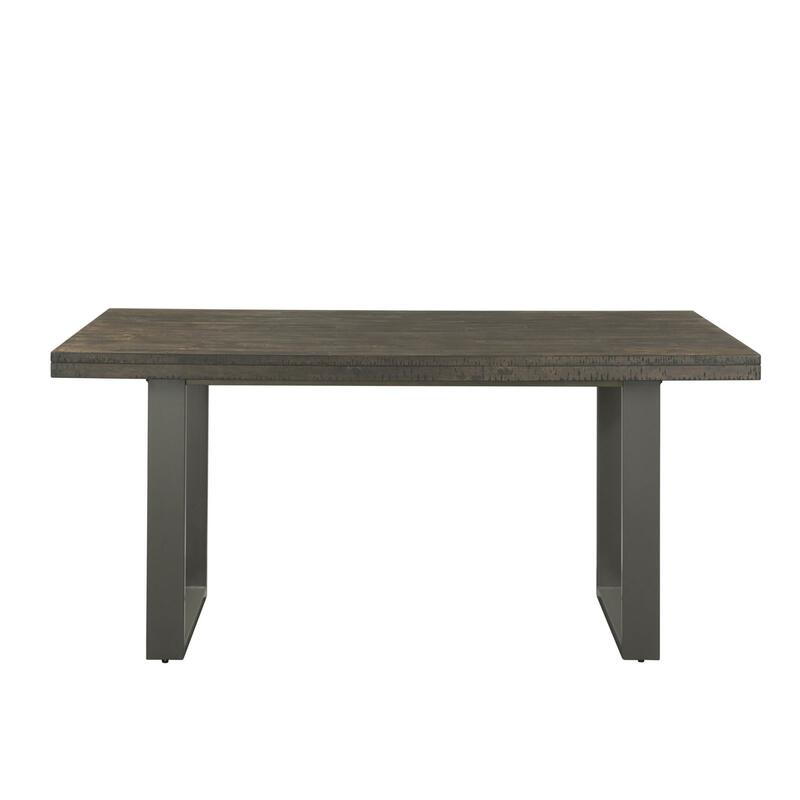 This table features warm, wood-grain details in a smoky dark ash finish. U-Shaped metal legs add a dash of contemporary style.